Archive by category "Mobile Application Development"
Ever since smartphones have risen to popularity, mobile apps have become much more prominent than one could have ever imagine. 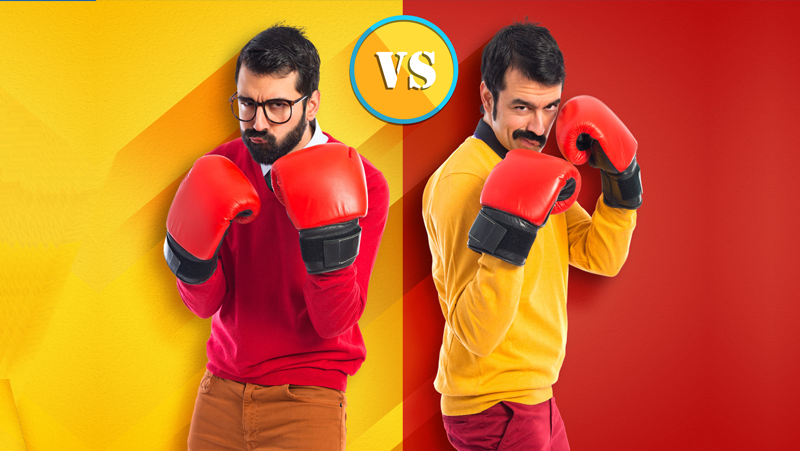 Broadly categorizing, there are two types of mobile apps which have prevailed on the premium app stores. Firstly, there is a colosseum of apps which have mainstream users and have a few bunch of potential competitors fighting for customer engagement and retention. The other is the niche requirement looking for fulfillment. The technology enthusiasts and businesses are both looking to solve those problems with greater skills, more substantial impact, and higher efficiency. Amidst all of this, there is one thing that subtly rises to immense importance, patented mobile apps. 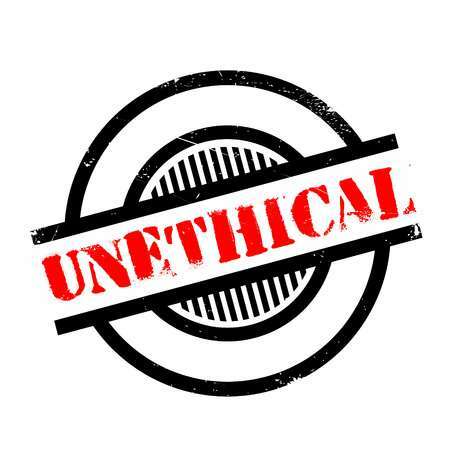 The culture of patenting mobile apps might not be so primitive in India, but the requirement for curbing unethical practices, unlawful intentions and outplaying competition is apparent present in all fields; at all levels. 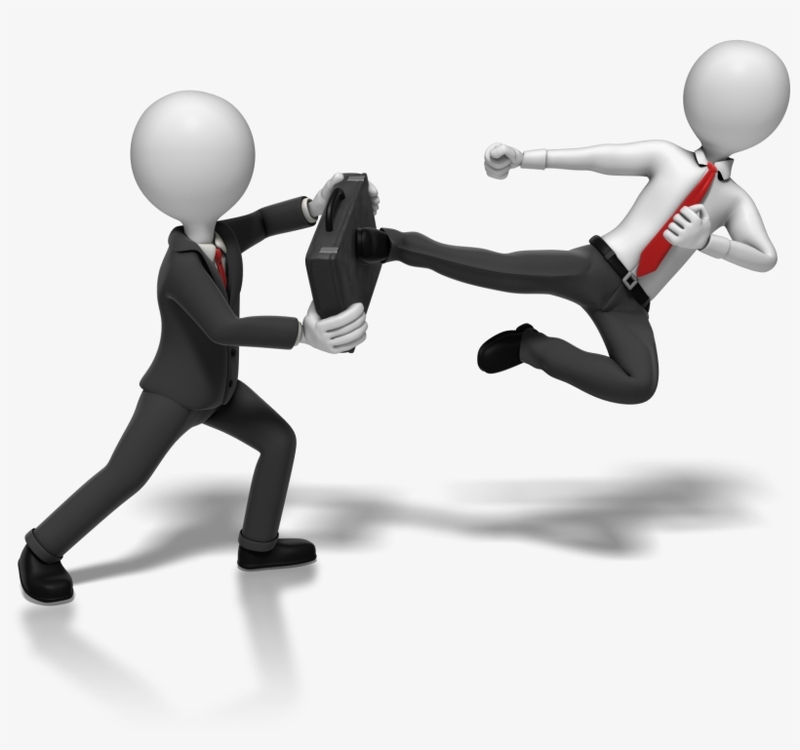 What if you ignore patent filing? The most widely understood risk cover of patent filing is that other prominent players of your business industry and most probable competitors will not be able to create minor variations in your app idea and launch it as a mobile app product in the open market. It saves you from a lot of consequences and safeguards your supremacy under all conditions. It is basically like a large cover for your idea or the intellectual property through the mobile app. It is quite apparent that if your competitors are hitting an overlapping market with a very similar product with only a few improvements and variations, you are sure to face an undue amount of competition. Your market share, as well as profits, will be significantly compromised. Filing a patent saves you quite comprehensively. Suppose there is a company ABC that has built a great app with location-enabled services and it is solving a significant problem for the customers. Now, company XYZ understands their product pitch, gauges their USPs and builds a very similar product with a few changes. 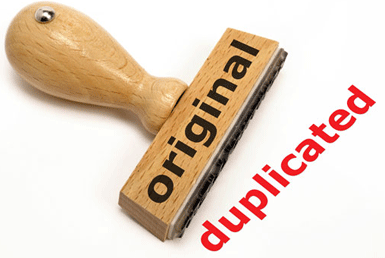 Your contemporaries might have improper benefits as people will get confused between the original product and the copied one. They will be choosing unknowingly, but it certainly deteriorates the value of your innovation and incurs a direct loss to your customer base. With an immediate loss of intellectual property, innovation, and technological lead, there comes a noticeable loss of, and a lot of your money which could have been generated through the newly created revenue stream will now find the hurdles of competition hand which would rely on penetrating customer engagement. How patent filing helps businesses? The level of calm confidence in the company employs, and enthusiasm of product managers remains intact if they are working on a patented project. It has a precious direct impact on productivity and the quality of work produced. Filing patents gives the company, and it employs a much-required dose of security before putting in the hard work for a particular project. 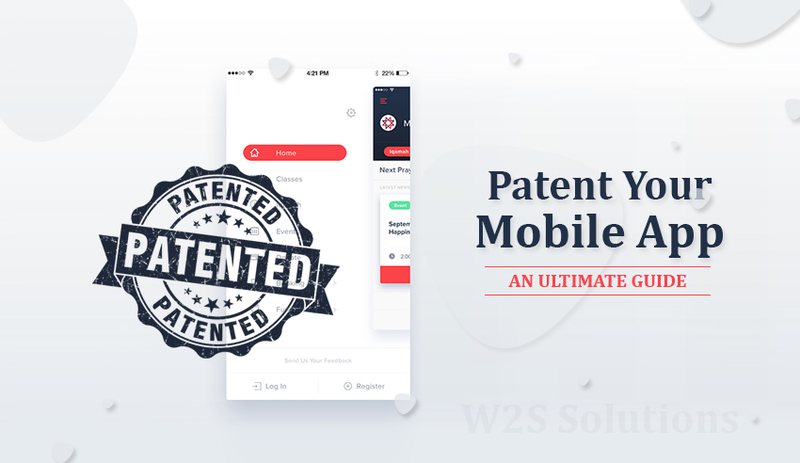 Once the owner of the intellectual property has patented the mobile app, he as a method or a process for a particular problem-solving initiative. Then they can also go for open source license distribution. It is a convenient way of letting other entities use your product and innovation under a set of specific terms and conditions. It protects the product from unethical uses and unforeseen modifications and enables you to scale the customer base simultaneously. Once you are the holder of title ownership, the world doesn’t have an option other than paying the proper fee for your product. It is an excellent way of fostering your brand and making a business sustain with a distinct revenue stream through royalty. What should be the first step for filing a patent? Kindly note that it is one of the initial steps before the filing of patents and registration that help to register your product to a sufficient extent. Further, it helps you take the appointment of the first filing date. It is a landmark date in the process of filing a particular patent because it is considered to be your date of the first approach while filing the patent. In case the matter goes to a court of law or is solved through mediation, this date is considered to be your date of filing and any other entity claiming to have a similar patent and will be judged upon by the state. If they have filed on time before this, they will have an upper hand; otherwise the latter remains the undisputed owner of the mobile app idea. What is the eligibility criteria for filing a patent? It is the most explicit and essential requirement for fulfilling the eligibility criteria before filing patents for the mobile app. The quantum of innovation in your mobile app idea should be supreme, and it should be undebatable for the mature minds of the respective industry. Any idea that is considered to be an inspiration or variation of a particular existing patent is most likely to face rejection, and it will require substantial modifications before it can hit the existence of a patent. It is an extremely tricky eligibility criterion for the filing of patents. Most of the intellectual property in the form of mobile apps are rejected under this clause. It is simple to understand it with an example. Another point of assessment for patent approval committee is the quantum of an influence of the respective innovation it is speculated to have on the users. The problem-solving ability of your change is undoubtedly regarded as one of the most significant plus points for gaining yourself a patented mobile app idea. It is a long process that happens in various phases and takes its due course of time before the final patent is registered to a mobile app developer or a mobile app development company’s name. It is convincingly accompanied by product presentations, explanation and more in-depth ground research at the approving committee’s end. UAE and Dubai are two major commercial hubs in the Middle East that gain attraction due to substantial, convincing reasons. The wave of commerce (comprehensively backed by technology) is impacting the east with a pilot from the West. The two places have evolved commercially and have hit a Golden Era of development with the new millennium. Technology and the quantum of commercial activities in Dubai have caught everyone’s eye. That makes it a great place of business opportunities with a potential, large market available at hand. One of the significant reasons behind a thriving Middle East market for business and technology is that people believe it to be far from saturation; unlike the Indian markets. Every economy has a master driver which induces activity and business prospects for different sides of the economy; including the niche markets and very dedicated businesses to particular industries. In the case of the Middle East, tourism and opportunities of oil exploration have been a significant reason why UAE and Dubai become a potential place for business with the blessing of an unsaturated market. Because there is money generated with these two, companies are looking to invest, and there is a decent trajectory of development witnessed in the lives of a common man as well. 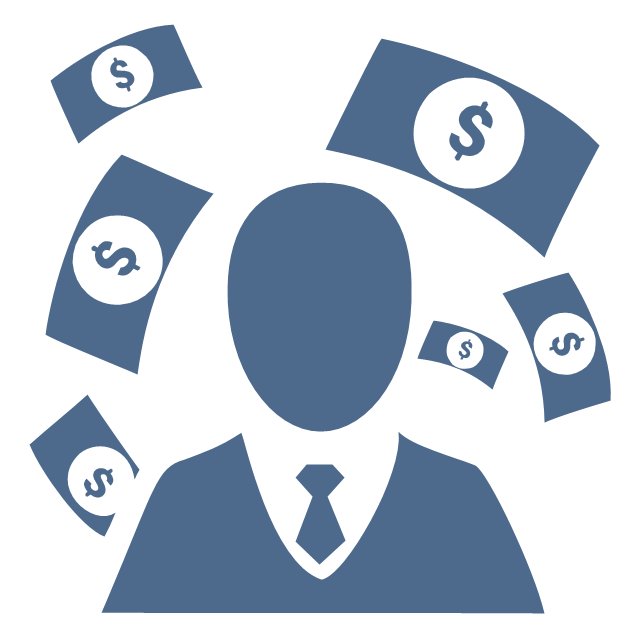 The average level of income and a paradigm shift of the millennial generation is approaching. , and a zeal run a personal business. It can be seen as a part of the chain reaction due to great commercial prospects in tourism and crude oil business for the country. It is a substantial section of the business fraternity as 72% of business comprise of small scale local firms. There are concrete reasons why technology business industry is expected to flourish in Dubai & UAE. People are looking to explore businesses and find new dimensions of competition in the local domain. It can only be done with the help of good quality websites, web applications and personalize mobile apps which can help small businesses look like a bigger brand. Working in favor of young companies is sure. It is a win-win situation for mobile app development companies and the smaller companies of Dubai and UAE; at least for next 5 to 7 years. Fortunately, the Middle East has won the trust of western countries because of its potential collateral in terms of the crude oil business. Every leading business player from Europe and the west is compelled to feel safe while investing aggressively in UAE. It is one of the primary reasons for new trends that are growing in Dubai and UAE. Corporates and large scale businesses who have replicated, scaled great success stories in different parts of the world are now choosing Dubai and UAE to be there next place for business expectation. Larger businesses have greater horizons and the ability to scale in terms of commerce. Web and mobile application development companies are finding great business opportunities. It is an excellent opportunity as larger companies are looking to solve more significant problems on a very efficient level with the help of technology and their past experiences in business and technology. More and more businesses are, today, looking to incorporate technology is as the trends have been set by bigger companies who have turned towards Dubai and UAE. The concept personalization in personal services is generally led by larger companies who can transform the facelift and provide high-quality services on a large scale. It is significantly replicated by cash-rich smaller businesses who are following the tech giants and more well-known companies. It is allowing them to scoop out a new dimension of competition and make more substantial profits by adding reasonable value. The technology area is pushing the millennial generation to explore new horizons and get on with modern trends. The earlier flourishing culture of a shopping mall is diminishing at a fast pace. Now, it is the turn of last mile deliveries and the convenience of doorstep services. It opens up opportunities for every leading mobile app development company as they need a significant facelift in the form of websites and quality web and mobile apps to impart an effective UX with a good UI. 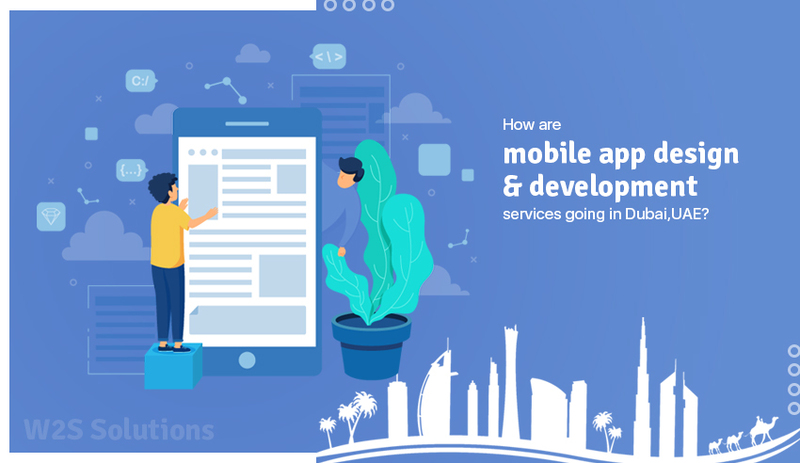 It is an excellent reason for businesses to turn towards Dubai and UAE as small companies are aggressively looking for more and more companies who can build mobile application development projects professionally. Mobile application development is the iconic face of the business and technology industry in the 21st-century. With the viral use of mobile phones and high potential of business through the smartphone channel, there is an ultimate team up of a great business opportunity and a potential market with digitally empowered businesses. It is making business organizations travel an extra mile for making this opportunity count. If a cause-and-effect diagram is built to model the present situation of Dubai and UAE, it will be like a circular loop which looks self-sustainable for at least next one decade. It promises excellent futuristic business opportunities that have investable ideas and high scalability of business. 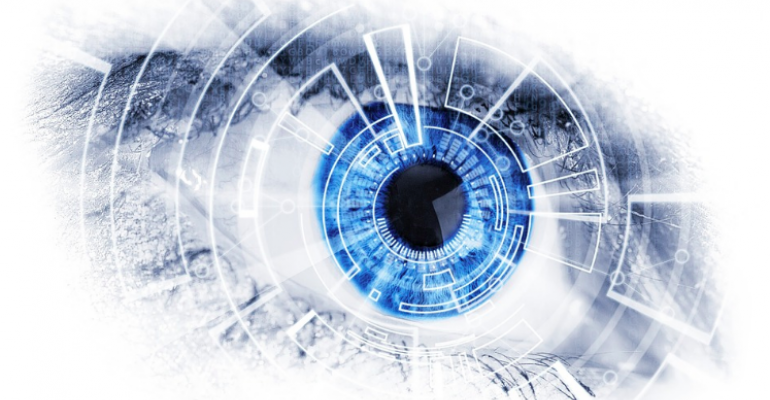 Among the innovations in computing, the growing and sophisticated technology of Artificial Intelligence has found a niche for business and research. Utilizing the capability of machines to copy intelligent behaviour is being widely witnessed in several modern industries today. Artificial Intelligence, a computer or a machine having the ability to solve problems as done by humans, is being extensively infused by mobile app development companies with mobile apps for the benefit of businesses belonging to varied industries. Today, artificial intelligence in not being put to esoteric use or being utilized by select scientific group only; it is rather a topic of expansion and exploration in global businesses. It is being increasingly adopted by mobile app developers for integrating in the mobile apps they build. With Smartphones and mobile apps gaining popularity by the moment, there has been a change in user preference as well as developers’ style of creating apps. Modern lifestyle doesn’t entertain the idea of consumers having to spend a lot of time on devices for getting their intended tasks performed. Quick and efficient functioning are demanded by users in all walks of life, mobile apps are no exceptions. Modern device manufacturers and mobile app development companies have to ensure that users are saved from having to scroll among the myriad mobile apps on the iOS and Android landscape. Moreover, they are required to facilitate easy searching and navigation system. Artificial Intelligence provides the perfect answer to this. The power of voice is being used for performing tasks that enable developers and users to resolve the need of the hour. Integration of voice interface provided by Artificial Intelligence proves to be of amazing use for the development of Internet of Things that is considered hot today. Several devices that we make use of in the modern world are connected to one another, such as smartphones, home appliances, and watches. Having different interfaces on these regularly-used devices make us vulnerable to be confused. Artificial Intelligence, by providing a single interface that helps in connecting the devices with ease makes it easy for users in commanding the various things around them. While there are quite a lot of mobile apps that make life easier for people, the time constraint of users make them shy away from having to spend much time on each of the apps that they need to use. The concept of being able to use something that can respond to their individual needs in a personalized manner proves really appealing to them. Being able to command your app by merely telling it what you want and leaving the rest to the app to place your order on the basis of those preferences is a great breakthrough. It has been made possible by the integration of Artificial Intelligence technology in the mobile phones. The capability of detecting user location and offering personalized, location-based solutions for each of users’ query has become possible. The individual behavioral patterns of users can be recorded and studied, thus enabling providing the app features that are exclusively designed for users’ personal needs. This helps user retention greatly, while facilitating business success for organizations. By allowing businesses to offer accurate and personalized customer services, Artificial Intelligence Development in mobile apps provides a great scope for global organizations. There are several ways in which artificial intelligence can be used in apps; its presence proves influential and helps develop spontaneous and excellent user experience for consumers. Effective Predictions: Enticing new customers and retaining existing ones through useful regular notifications that inform about products, offers, and discounts can be effectively performed by using the predictive Artificial Intelligence algorithms. They help analyze history and predict what the customers are most likely to buy. This helps increase business revenue. Ability of Reasoning: With the advent of artificial intelligence, the once impossible skill of reasoning has been infused in computers and devices. With previous data of users, AI helps understand tasks and find the shortest way of performing tasks. Providing Relevant Content: Artificial Intelligence algorithms, by gathering data form users’ behavior patterns via browsing history, can make proper recommendations suiting to the customers’ specific needs. This helps provide relevant content to customers. Mobile world proves to be the appropriate platform for the Artificial intelligence apps because of smooth access to details such as customer location, buying history, and behavior patterns. 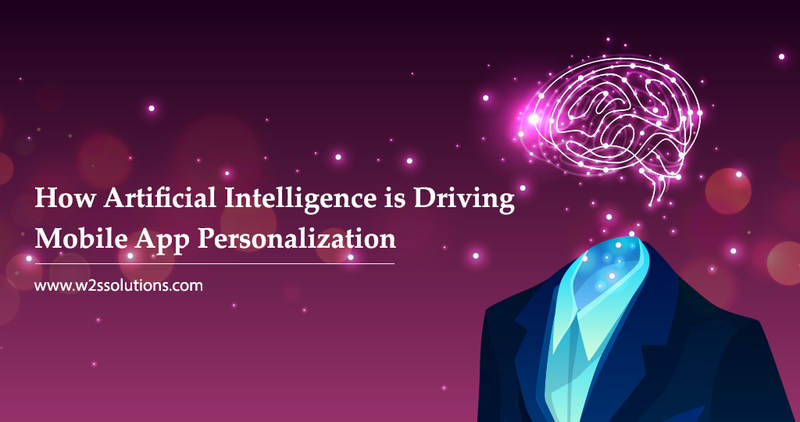 Artificial intelligence algorithms, by using these data, can provide a more intuitive and personalized customer service. Progressive organizations have started investing in this field as it builds a close relationship between their customers and their brands. 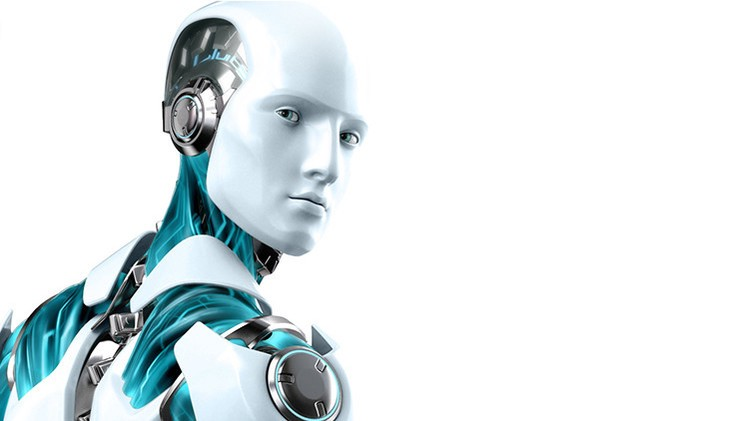 What Does the Future Hold for Artificial Intelligence and Mobile App Development? The powerful combo of Artificial intelligence and mobile apps will reshape and redefine the face of modern technology in the coming years. Extensive use of artificial intelligence in mobile apps will find inevitable place in accomplishing user engagement and business success. The involvement and importance of artificial intelligence will not be limited to select domains; it will be very widely adopted in business ventures, mobile app development being one of the most important ones. Leading business corporations across the globe will be making optimum use of this innovative technology to reap several benefits. This cutting-edge technology will attract increasingly more takers in future. Machine learning has reached the developmental stage and modern users are looking for flexible algorithms that provide seamless experience. The progress and availability of artificial intelligence and its integration in mobile apps will bring about unprecedented changes to the way developers and users, apart from businesses, consider intelligent interactions within mobile apps. Several applications and devices will be written using artificial intelligence and machine-learning driven apps. New avenues are opening up for mobile apps with the growth of artificial intelligence; global Mobile App Development Companies will adopt this technology in a huge way, accomplishing to offer great user experience while facilitating their clients’ business success! BitCoinNews.com has some interesting things to say about profiting while traveling abroad. Physical currency and traveler’s checks are quickly becoming anachronistic. Digital currency solutions make it such that you can use the same Visa credit card overseas that you use in your home country. You can even use ATMs and print out currency. Bitcoin essentially provides the same kind of service. With Bitcoin, you can go to any Bitcoin machine and extract cash as it conforms to current Bitcoin rates. Such machines are currently throughout the world; you’ve just got to find them in the cities you visit. Now all that’s easy enough to say—but the question then becomes: how does it work? Well, in a word, blockchain—and this pertains to the subject of this writing. Blockchain solutions are positioned to utterly transform the current mobile app economy. Blockchain is what facilitates Bitcoin, but it’s not something which is solely related to cryptocurrency; it’s just what makes cryptocurrency valuable. Basically, a blockchain is a list of information that can’t be tampered with. Records, transaction details, etc., are all securely maintained in “blocks” which build on one another over time. Differing time-stamps primarily striate different “blocks”. 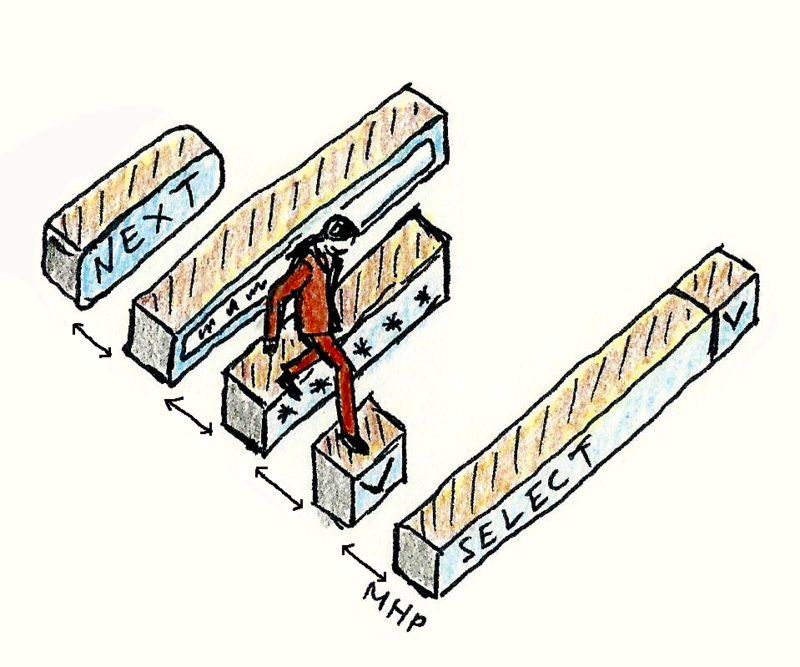 Cryptography of a new type which compounds on itself with each new “block” secures the technology. As more people buy into cryptocurrency, more blocks are created. More blocks equate to greater blockchain security, facilitating increased cryptocurrency value. It’s a self-feeding upward spiral. 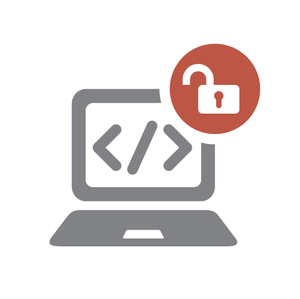 As pertains to apps, mobile app security is a key feature of an application’s dependability, reliability, and trustworthiness. 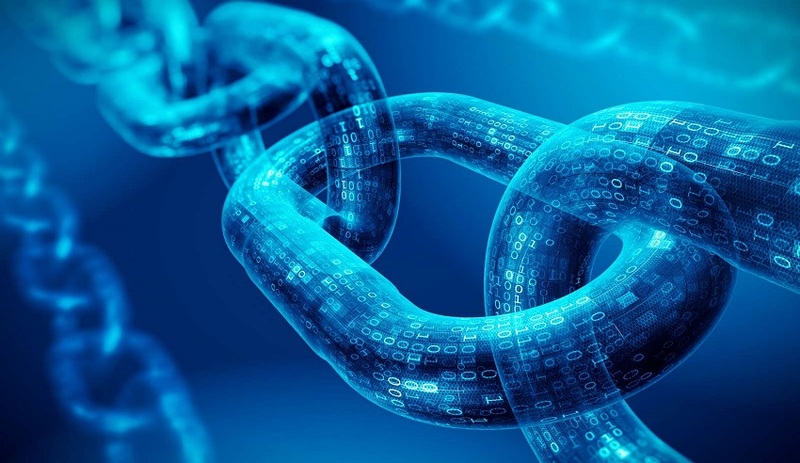 The digital world is abuzz with blockchain tech, as it provides a means of securing operations which continues to increase on itself positively as it is used. I.E., the more it’s used, the more secure it becomes. Think of it like Chinse finger-cuffs, as a rough analogy. The more you struggle, the tighter they become. Well, the more you use blockchain tech, the more secure it becomes. Simultaneously, security is expedited and infrastructure is diminished substantially, reducing operational expense while expanding operational ability. In three years, the blockchain market is set to be worth $20+ billion. With blockchain technology it becomes possible to securely decentralize computing in terms of financial institutions, allowing for instantaneous mobile banking solutions around the clock independent of location or day. So not only is infrastructure reduced in terms of security, but customer service and operational utility increases. Applications secured by blockchain can now be used in a secure capacity on a non-corporate basis. That is to say: a small startup company who designs an application can compete with the most qualitative applications on the market securely by applying blockchain solutions to their app’s data encryption. Additionally, companies who produce applications and utilize blockchain tech have the ability to provide small or large businesses with application services almost on-demand. The only temporal loss comes in the time it takes to properly develop an app. Such application security isn’t limited to mobile applications used via smartphone, tablet, laptop, or other IoT, either. 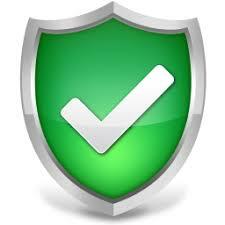 It additionally has security value for solutions at the enterprise level. Data needs to be secured between business locations which are located separate from one another. Consider this reality: you’ve got quality control protocols in place which must be disseminated securely between varying locations. These chunks of quality control data are rife with proprietary information, and documents of an otherwise sensitive nature. But they must be properly put to use regardless of such sensitivity! An EQMS solution solidified in terms of security through blockchain tech stands to bear greater dependability than the same solutions not supported via blockchain. If you make the switch and your competitors don’t, you’re operating at an objective advantage in terms of security. And it doesn’t end there, either. when you get right down to it, any software solution that can be encrypted stands to see an advantage through the application of blockchain solutions. For those who have yet to fully embrace this technology, it makes sense to start making some transitions. You’ve seen how Bitcoin is apt to fluctuate madly in terms of profit expansion before everyone jumps on the bandwagon and the currency loses value for a period. Yet if you look at Bitcoin over the long run, it’s been on an upward trend. Technologists the world over are keeping their eye on Bitcoin and the blockchain encryption protocols which make it valuable. Certainly not everyone has faith in the cryptocurrency blockchain enables, but the blockchain tech itself is rock-solid, and has accordingly spread throughout multiple areas of modern technology utility. Still, making the blockchain switch for certain internal applications can be complicated. A wise idea is working with agencies who specialize in development of software which incorporates such encryption. Whether you go for a total upgrade will depend on your business. Sometimes you want to upgrade sequentially, sometimes all at once. Generally, the larger your business, the more cost-effective gradual transition is. Today’s professional atmosphere is surfeited with enough technology that you can build a digital picture of the situation which is more accurate than straightforward examination of the data may be—in some cases. When you make decisions as regards transitioning your operation, do so informed by the data with tools such as Loggly that help you understand your app better. From marketing outreach to operational egress, today’s technology collects more information which relates to operations than perhaps ever before. Not putting that to good use is a fundamental error. Look at your existing costs, and the information you have available; but don’t restrict yourself to that which can be harvested internally in terms of data. Look at competitors as well, and also consider trends in the market, like blockchain’s increasing relevancy. Remember, you can always go about a shift sequentially; meaning you can “try it out” before making a concrete decision. When it comes to mobile applications, blockchain is recommendable for security in terms of even the most elite technological functions—banking and blockchain are proof positive of that. If you have yet to incorporate such encryption into operational paradigms throughout your company, you might want to do your homework to see if such changes are a good fit for your operation. Are you looking for a Blockchain App Development Company? W2S Solutions is an Indian IT Company, an leading expertise in providing custom software to SMEs and startups all across the globe. Headquartered at Chennai, India the company has 5 more development and sales offices around the globe including the USA and Canada. Founded in 2010, the company has journeyed a long way providing some of the ace digital services for mobile app development, web design and development, iOT, Artificial Intelligence, AR/VR, Open Source development, big data analytics, and the latest hybrid app development. The team at W2S Solutions believes in learning from each other and working with each other in all hemispheres and not only work. For a typical project undertaken by the firm, the senior management team helps the young lot to understand the visionary ideas and their market scopes, while the younger lot keep the freshness of the latest technology in the firm. And thus, the team understands the key secret to a successful project undertaking. The team started operating at Austin office in 2010, with providing custom software for key industries like finance, healthcare and business operations management. With skill expertise and a passion to meet the quality ends, the firm saw a booming growth within a year; and provided a promising hub for reliable software customization services. 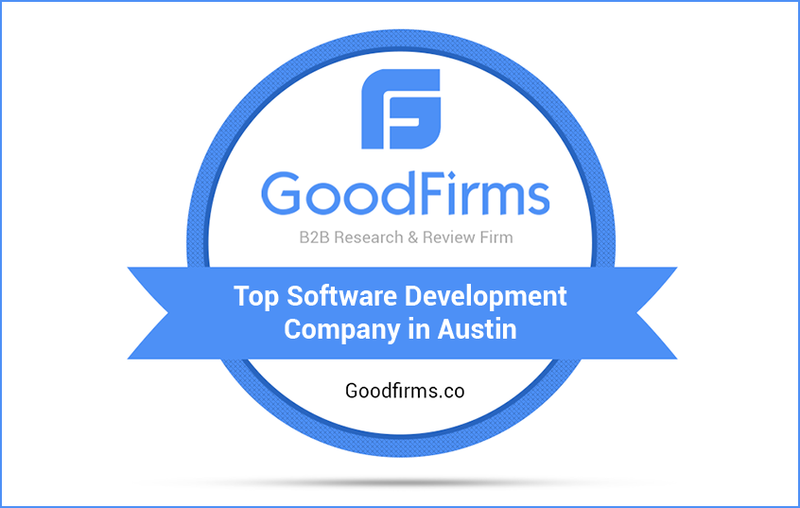 This makes the firm stand apart and listed as one of the Top Software Companies in Austin at listing and review platform – GoodFirms. The comprehensive research process, undertaken by GoodFirms, ranks the companies, boosts their online reputation and helps service seekers pick the right technology partner that meets their business needs. Each company that participates in the research gets evaluated on the basis of three major parameters – Quality, Reliability, and Ability. However, the initial research is based on primary and secondary research work, conducted in-house, and through data available from various sources, true to the platform’s understanding and knowledge. All the further research and evaluations are based on the reviews submitted by the company’s clients. At GoodFirms, a detailed research shows that W2S Solutions is completely focused and dedicated to small business including all types of small and medium enterprises, startups and local businesses providing them with an optimized and most cost-efficient app or CMS development. The client requirements are analysed and a best suitable service is decided, before taking any project on hand. The team then works extensively to design and develop a unique client brand oriented plugins and themes for their WordPress venture. For providing unique CMS development services the firm is expected to be listed as Top WordPress Development Companies across the globe, at GoodFirms. The firm has resources and talents to develop and deploy the native as well as hybrid app development. The executive team believes in choosing the best technology, rather than the available resources, to meet the requirements of the project rather than the available resources; which not only brings innovation and creativity to the project but the essential optimization to the projects. Their understanding of chief technical solutions for the business and the skill-set makes them a forerunner for the prestigious list of top Indian App Developers at GoodFirms. As the name suggests, GoodFirms is a dedicated community for IT services seekers and providers. A maverick B2B research and review platform that helps prospects find the best IT developers, across the globe, that can meet their business requirements and beyond. Having said so, it offers a solid platform for companies and software vendors that want to sow seeds of reputation management just so to mark their hard-earned stature in the industry across the globe. Looking for a top-notch Software development company in Austin? Reach us for any queries or any Software Development needs. The first step you can pursue towards building an app is doing an in-depth, intensive research to the core. Next you can latch on to planning and taking action towards creating an app which helps in making human activities more efficient in any manner. Finally, you list your app on one of the major app stores within the mobile centric web, Google Play Store, with a mindset that this app will make some contribution towards society. But what app analytics tell you that your work has gone into vain because no one really knows about your app. Your most probable users are not able to see your app in their search. There are several reasons behind the whole scenario which everyone does not know, due to lack of proficiency in digital marketing. There are about 3.5 million apps on play store and creating some unique marketing strategy is the key to get your app recognition in this vast pool. First and foremost is the reason that we have talked about in the above content that nobody is even able to see your app while they search for something which your app offers. Every person, firm or entity in this world puts their hard work to create something which adds value. Similarly, if you want your revenue generation model matches with planning then you have to work towards app recognition which in turn will help you generate financial benefits from the app. Once your app is visible and people have started using your app they’ll rate it based on their experience. 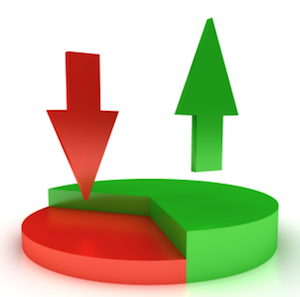 Higher ratings help in overall growth of an app and its users. From the first day, you list that app on play store be sure that it creates some value in the life of people using it. The First impression lasts. There is no denying fact that everyone forms their first perception towards anything by just looking at it and if your app does not possess a user-friendly interface then you instantly lose your ratings and make user less comfortable while using the app. 2. ASO off-metadata factors are not controlled completely by a developer, but can be influenced, for example: installs volume, ratings, and user reviews. ASO is also known as App Store SEO (Search Engine Optimization). This is what your app is going to be known by once it enters the market and believe us you cannot mess here. You are suggested to use a unique title and logo for your app which people can easily identify and be magnetized. This will help you get those apps eliminated from the competition which possesses a cliché image as their logo. Short Description – This should contain basic information about your app consisting of clear keywords which also help recognition. Long Description – This is the area where you put all the content relevant to the app containing keywords matching your app. Warning: Highly Critical…! Consistency is the key if you want your app to have a long-term existence. Regular installs will help rankings of the app shoot higher, which in turn will lead to more downloads. One should also take into consideration the amount of uninstalls it has and look into matter to improvise results. No one can beat the power of “Word of Mouth”. One should always try to resolve problems that users are facing. Whether it’s a minor bug fix or a major hindrance in the app’s growth. More and more installs can be induced by providing timely solution and updates to the users. Ultimately everything boils down to improving app ratings. One will only give you a higher rating if they had a good time using your app. A higher number of favorable comments/reviews also help in achieving higher ratings. In today’s day and age, it’s very easy to buy reviews, but one should always stay away from these tactics due to Google’s strong monitoring of the reviews. The number of backlinks also plays a vital role here as they provide credibility. So, if you put some in the description it’ll help you in long run. So. These were some easy-but-effective tips to rank higher in Google Play Store. Reach W2S Solutions for any queries or any App Store Optimization/Mobile App Marketing needs. Great narrative of Web Apps and Mobile Apps. 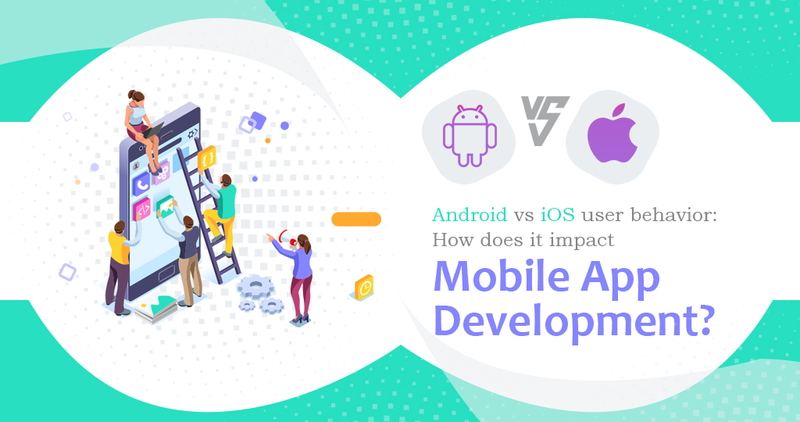 If you ever try to understand the difference, benefits, Industry usage of Web and Mobile Apps, this is your must read Infographic that showcase the difference between these two. It also walks through the technology stack to be followed in building these solutions. No wonder why W2S Solutions is the Top Web and Mobile Apps development Company. As this Infographic shows our in depth knowledge in developing apps and we also recommend to our customers based on their requirements, cost and timeline. This Infographic tells what’s best for your business and then differentiates which Industry is focusing more on Web or Mobile. It helps you to classify your Industry and you shall see where you fit. At W2S Solutions, Our technology experts recommends you the Technology stack to be chosen for building your product. If It’s a web app, we usually go with Open Source technologies or MicroSoft .NET framework. For Mobile app development, we shall build with Native iOS or Native Android development tools. However If Web app is built with Angular JS, HTML 5 and CSS 3, we shall be able to reuse some of web components for Mobile. It’s great way of reusing components and saving effort and cost. Feel free to reach us for a discussion. We are happy to give a quote or explore your Idea further. We are available at – +91 73387 73388. In a world where the mobile application development companies are hustling down the industry to help businesses grow bigger and better, the engine which throttles mobile app development requires a meticulous maintenance and conscious care. While the application development companies are huddling down the latest technologies for enhancing usability and overall user experiences, the tech fraternity is constantly working towards elongating the lifespan of an app. The mobile application development companies genuinely want to make sure that money spent in making an app feels to be an investment rather than a burdened expenditure. Thus, with this informative blog post, W2S Solutions sheds light on the importance of agile methodologies to be deployed in mobile app development projects. FYI, agile methodology is a collective term used to label the coordinated set of gradually maturing, time-bound incremental iterations performed during software development project. Here, a unified group of developers coordinates among themselves to channelize their skills in order to achieve long and short-term project goals. This is to ensure that critical project metrics and software non-functional requirements like adaptability, accountability, and leadership perfectly bound with the strategy. 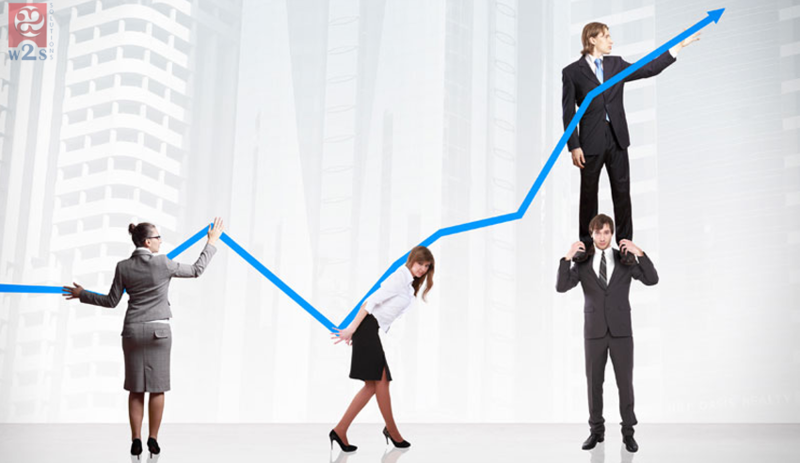 Agility means the ability to be responsive to changes and be able to efficiently cater requirements as per their need. To keep it simple, it is like a collective and synchronized effort by a group of developers to help customers realize real meaning of agility in terms of software or app development. What makes Agile so opt? 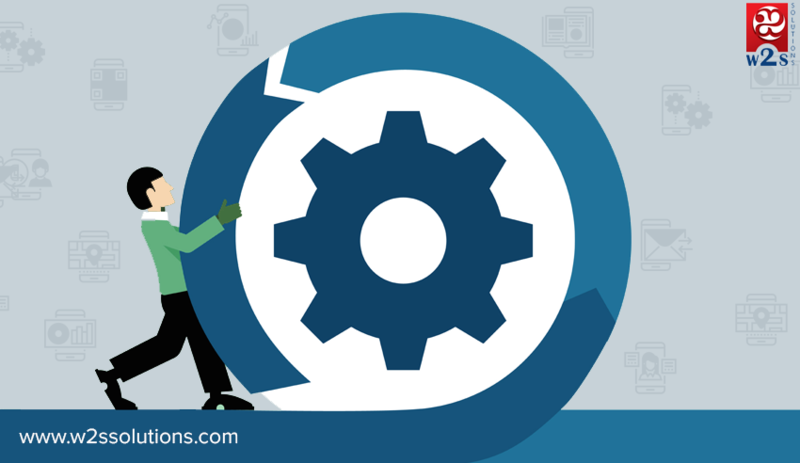 While there are numerous reasons why you should use agile it is easy for you to be confused among all of them, we bring out the most persuasive ones to help you believe potential of the most famously used project management strategy in recent times. Business and dynamicity are synonyms. Mobile app development companies have always struggled with keeping up with swiftly changing requirements and always modifying set of deliverables. But agile methodology for mobile app development gives them an opportunity to frequently set new deliverables and make quick decisions during early phase of the project. With agile mobile app development, Mobile App Development Companies are able to deliver better user-specific business solutions. Why does your business need agile for mobile application development? The gist of the answer to this question lies in complexity of requirements that are stated by the client. It is a well-established fact that project management is all about allocation and follow-up of tasks which are assigned to a responsible and capable person who is a part of a team which collectively caters to the bigger functionality. Agile mobile app development helps the group of developers efficiently come up with a process model and project management system that is foolproof in many ways. It certainly helps development team to overcome some critical development issues like varying demands of different classes of users, which in turn hinders seamless development across multiple running platforms. Thus, agile is the best decision you can make. It is the most effective way for mobile application development companies to work and deliver highly reliable products with the coordination of experts in the back-end. If you try to count on the number of benefits and abilities which Agile adds to your development process, they are abundant. The direct upliftment of the overall quality happens through continuous and effective communication between customers and development teams. Consequently, it adds a tremendous level of transparency and flexibility along the course of development. This is something really beneficial for mobile application development companies as they are able to entertain fresh requests and functional requirements, even at later stages of the app development cycle. The trouble and a possible mismanagement caused by such unforeseen requirements is not an issue as agile is completely foolproof and ensures total quality. Mobile app development companies can deploy agile to enjoy easy amendments to requirements and even pre-existing functionalities. Agile also helps the mobile application development companies to easily roll out updates and make necessary changes as per the dynamic mobile platforms. Ideally, agile helps group of developers to approach the development project in a cohesive stance. This is best complemented by transparency and flexibility, which is supported by testing of an app at each stage. Following the much talked about development process also makes it more likely that mobile development companies will end up successfully delivering sustainable products that are highly responsive and offer an impactful user experience. The agile mobile app development methodology is the best available, convenient to use project management strategy for mobile application development companies in the Indian IT industry. It is an unbeatable fact that widespread use of agile has helped our IT industry to grow and become leaner than ever with the kind of complex projects which are delivered in the least possible time to market. Pertaining to the flexibility and transparency added by agile to the development process, mobile application development companies are able to work out the best possible digital business solutions in unimaginable cost with great quality standards. Reach W2S Solutions for any queries or any Agile Mobile App/Web App/Website development needs. Millions of mobile apps are being downloaded regularly, thanks to the popular hobby among modern consumers. 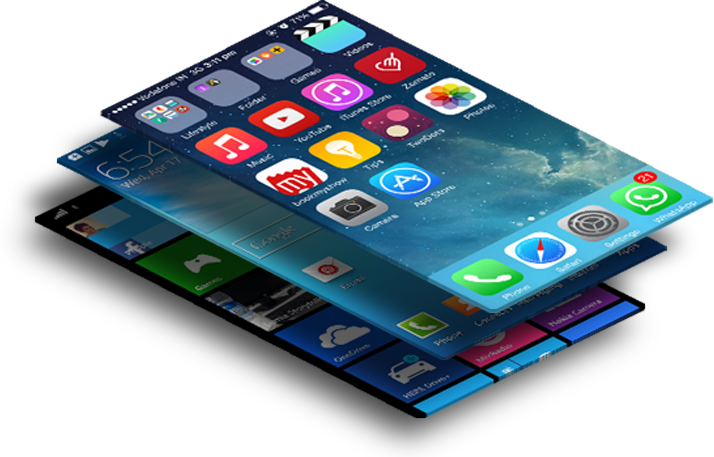 App development ideas and new app development also follow suit, there are numerous apps that hit the market every day. Amid such frenzied activity, there’s little wonder a mobile app development company is always kept occupied. The catch lies in taking the app successfully from conception to the real world. 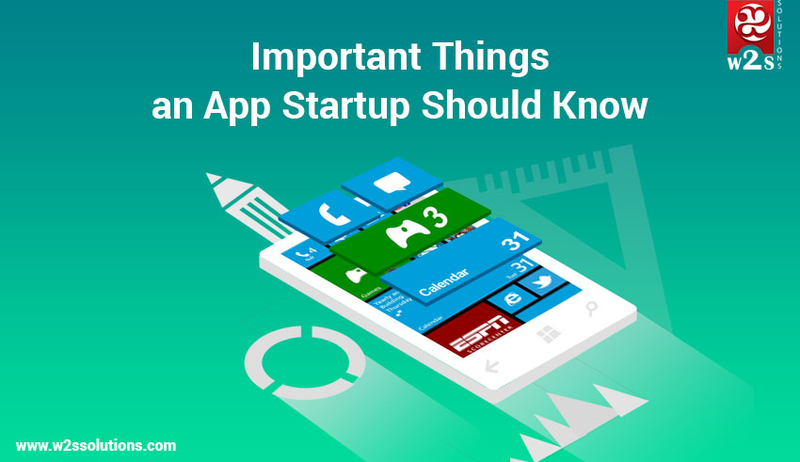 This is where app developers and entrepreneurs need to learn a few vital things about carrying a mobile app start-up toward success. There’s a clear and tangible shortage for code development in the modern world. While this presents entrepreneurs and mobile technology-based companies a huge opportunity, there are certain basic requirements without which you cannot succeed in reaching your business goals as a mobile app development company. Quite a few small businesses are pitching for cashing in big by using the demand and consumer trends. However, there are certain major challenges that need to be addressed efficiently. Developing useful apps that prove useful to consumers is challenging, while the process of navigating through the complex app approval might appear insurmountable to some businesses. The first strategy to master the app development business is learning the basic and crucial things by prudently investing in certain key areas. Validating your app idea and detailing your product using a wire framing tool is the first step. App design needs to be according to your vision about user experience; be sure to remove non-core features. For this, you need to brief the factors such as your app idea, user preferences, and features required to the designers you hire. To stay ahead of fierce competition and accomplish success, you need to develop the most fluid and best app that enables you to stay in the race.